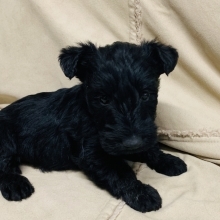 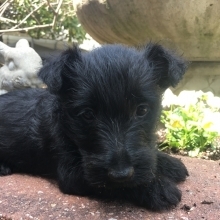 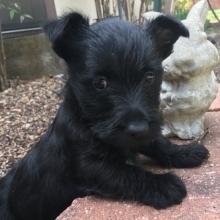 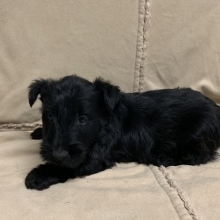 The Scottish Terrier is a compact, short-legged, sturdy dog that was bred in Scotland to be a fierce hunter of foxes and badgers. 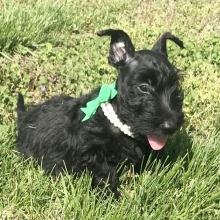 The Scotties’ black coats, long heads and beards make them an easily recognizable breed. 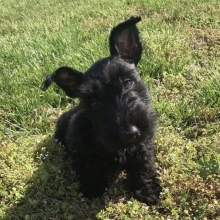 Scotties make excellent companions and watchdogs.